A beautifully orchestrated bottling party, CHEERS! We are happy to report that our bottling party went according to plan. After the science part was completed and everything had been sterilised, our helper elves formed a production line and all that could be heard were the happy sounds of bottling another potentially award winning wine. The day was rounded off with a glass of wine (freshly bottled) and hand crafted delicacies courtesy of Dominic (see the aftermath in the main photograph above). Many thank you’s to all involved. 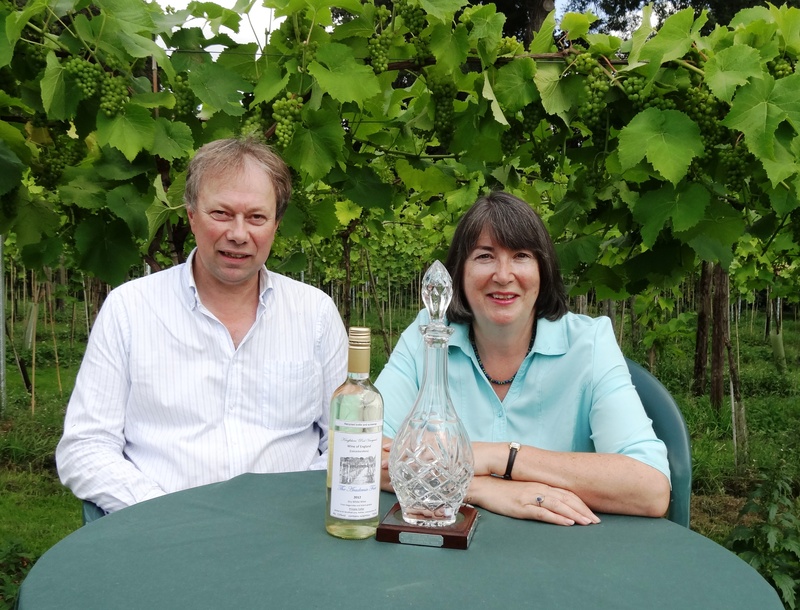 Winning a SILVER MEDAL at the recent UKVA competition exceeded our expections, as this was the first time our wine had entered a national competition. When we scrutinised the results and realised that our Sparkling Orion was one of only three white sparkling wines from the 2012 vintage to win a medal we were over the moon! 2012 has been a washout summer and we were only one of two Leicestershire vineyards to harvest a crop. This vindicates our choice of the Orion grape, which is very suitable for the Leicestershire terroir as well as producing a delicious wine. When the wine arrived from Halfpenny Green Vineyard, specialists in sparkling wine production, we popped a bottle in an ice bucket then sipped it outside, appreciating this crisp, refreshing wine which is so ideal for hot summer evenings. 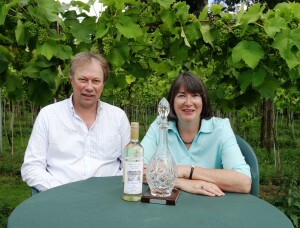 We (Matthew and Liz) are very happy to welcome you to Rothley Wine Ltd’s website. Please check back often as we shall be giving regular updates as to the progress of our grapes, vines and award winning wines in the following months and years to come. We hope we find you well and are excited about wine as we are. Until next time, Liz.